As a college student at Temple University in Philadelphia, Pennsylvania, Atlanta dentist, David Zelby, DDS became interested in dentistry as he observed senior students busily occupying themselves making models of teeth and crafting their dental projects. This embarked his lifelong interest in perfecting dental techniques and helping his patients be pain-free while changing their lives as they experienced smiling again or maybe for the first time. “The rewards of handing a patient a mirror and seeing the glow of their faces is a life confirming commitment for me,” explains Dr. Zelby. He earned his general dental degree from the New York University School of Dentistry in 1974. After graduating, he spent one year in general practice residency at French and Polyclinic Hospital in New York City. Dr. Zelby continued his education to become a certified prosthodontist at South Carolina College of Dental Medicine. Prosthodontics is a specialty in dentistry, recognized by the American Dental Association and requires two to three years of extra dental school after completion of a general dentistry degree. This higher level of training allows a prosthodontist to perform a higher level of dentistry with greater expertise. The primary focus of a prosthodontist is all treatments of restorative dentistry and full mouth reconstruction. He began his career in dentistry working with Dr. Ervin Goldstein in 1985. Later Dr. Zelby established his own practice in Atlanta locating in Midtown. In 1992 Dr. Zelby moved his practice to the Cobb Galleria Office Park and established Aesthetic & Implant Dentistry of Atlanta. His practice expanded in 2010 and Aesthetic & Implant Dentistry built a new state-0f-the art dental center located in the 200 Building at Cobb Galleria. 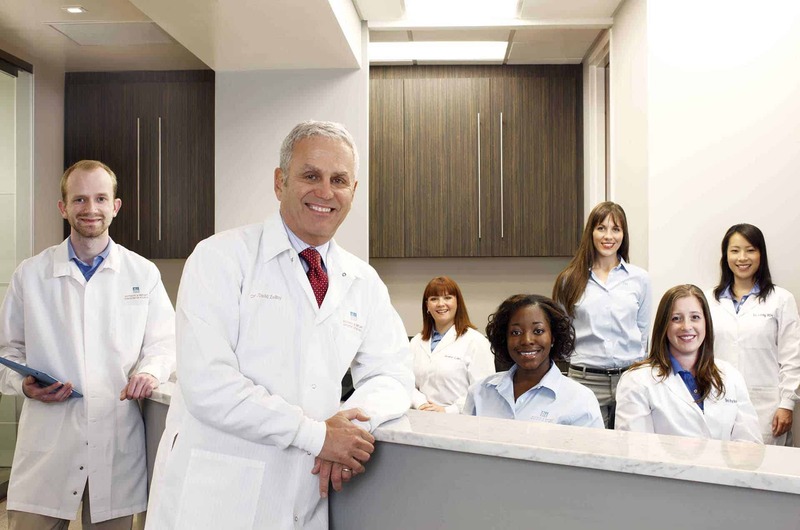 Dr. Zelby is known in Atlanta as being a compassionate and gifted cosmetic dentist and dental implant specialist in Atlanta , well-versed in both general and prosthodontic procedures. He skillfully blends art and advanced dental techniques changing the smiles of thousands of Atlantans’ over the course of thirty years. Education has always been paramount in Dr. Zelby’s career and he taught at Emory University Dental School for 12 years. 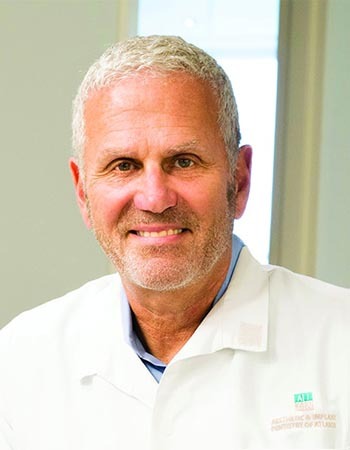 Cur­rently, Dr. Zelby is a clin­i­cal pro­fes­sor of den­tistry at Georgia Regents University School of Dental Medicine, for­merly Med­ical Col­lege of Geor­gia School of Den­tistry. As an educator, Dr. Zelby recognizes that dental technologies change often and he is deeply committed to continuous training in his field so that he’s able to offer the latest, most effective and least painful methods to his patients. He devotes much of his extra time staying on top of scientific and technological developments in general and prosthetic dentistry. Public service is another hallmark of Dr. Zelby’s career and an area in which he’s placed great personal importance. He is Chief of Staff Emeritus at the Ben Massell Dental Clinic, where volunteer dentists treat Atlanta’s underprivileged needing dental care. Ben Massell is the only dental clinic in the United States staffed solely by volunteers. Because of his lifelong commitment to helping people, Dr. Zelby was named “Honorary Senator” for the state of Georgia by Governor Casey Cagle in August, 2008. In 2002, the Atlanta community honored Dr. Zelby by presenting him a Community Service Award in recognition of his countless hours of service to Atlanta’s underprivileged .